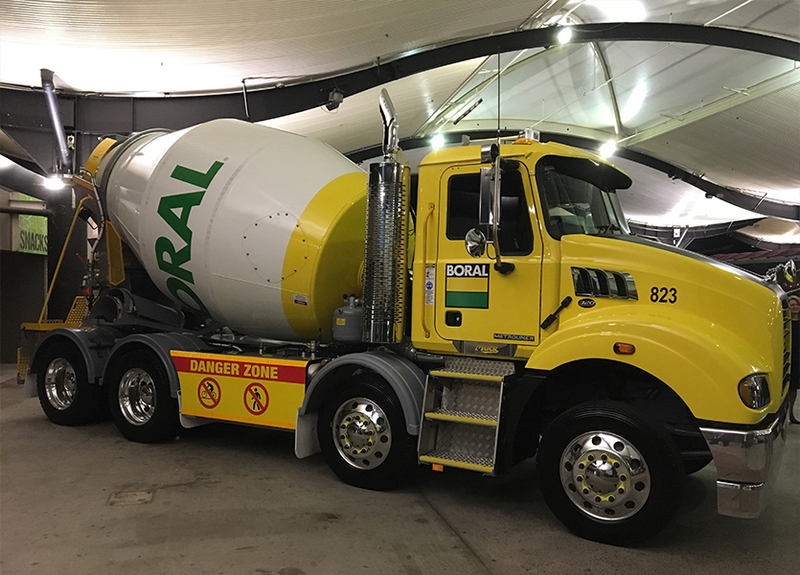 In an industry where product development has historically moved at the speed of a somnolent snail, the creation of significantly safer, more stable concrete agitators by resources giant Boral could well be the prod for an industry-wide rethink on the design of a modern ‘mud truck’. Here’s the story behind the evolution of Boral’s award-winning 10x4 design. It’s mid-week, just after 8 a.m. and it’s all happening at Boral’s Granville batching plant. Wedged midst the multi-cultural mayhem of western Sydney, the plant sits like a sprawling slab of well-defined order against the chaos and clutter beyond the fence. Just 30 or so metres away is the unrelenting pandemonium of Parramatta Road while bordering the plant’s northern and southern boundaries are the main west and north-west rail lines. Around here, it’s just traffic and more traffic, noise and more noise, and on roads in these parts, there’s no room for error. None at all. That’s not to say it isn’t busy inside the Granville plant as well, but it’s definitely a different sort of ‘busy’. 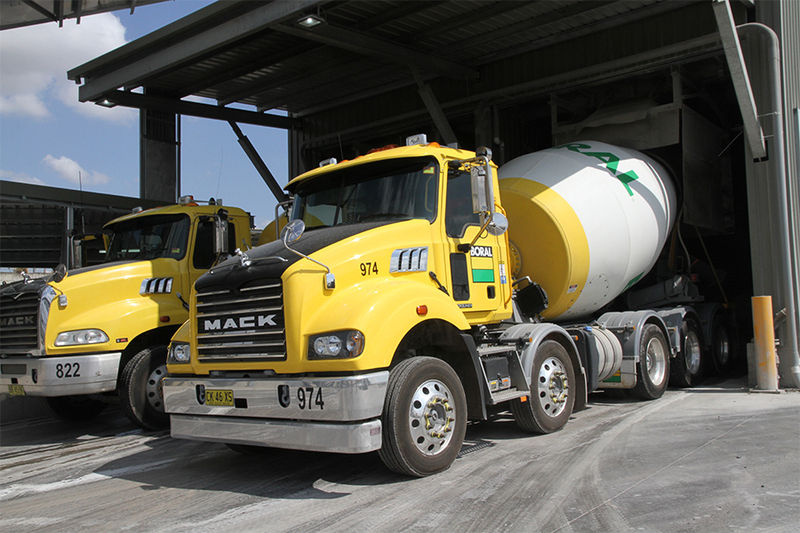 Mack is the obvious truck of choice at Boral. Eight-wheelers dominate but 10x4 layouts are increasing. 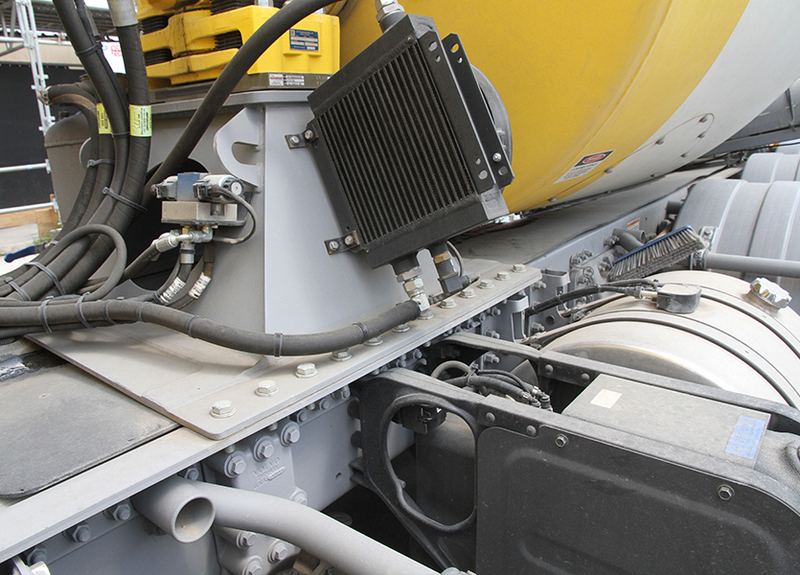 Vastly enhanced roll stability standards are being introduced on all new agitators. There’s at least a structured and rigidly applied system in place, completely at odds with the surrounding bedlam. Which is just as well because on this particular morning the batching plant seems to be running at full throttle as a constant stream of agitators – or as Boral prefers to call them, concrete transit mixers – rolls under the two towering hoppers. Load on board, there’s a short stop at a gantry to wash down the back of the barrel and add more water to the mix. Then go, mingle with the madness. Everyone knows the drill. Seamless! Everything works because everyone knows the system and the system is sacrosanct. There are no compromises, especially on safety. Today there’s a big pour of almost 500 cubic metres in full swing only a kilometre or so away, and with two huge pumpers to feed at the construction site, activity inside the plant appears intense. The reality, however, is that it’s just another day delivering the foundations for Sydney’s booming ‘burbs. A little while later I’ll get to drive a couple of high capacity Mack Metro-Liner 10x4s to the same site but for now, it’s easy to just sit back and take it all in, getting the guff from a couple of drivers waiting for their number to come up on the side of the batching tower. Still, a couple of things both surprise and impress, not least the incredibly functional layout of this plant. Traditional six-wheelers are the exception rather than the rule these days but new standards for roll stability are being applied to all configurations. Truck and dog combinations regularly roll in, filing to the furthest end of the plant, tipping sand and aggregates into underground hoppers where it’s sent by conveyor to the top of the batching towers. Close by is an area reserved for tankers to discharge bulk cement powder. Logistically, the making of concrete is a system of many parts, yet here at least, no function impedes the other. It’s all entirely at odds with the confusion and clutter of the outside world and vastly removed from hazy recollections of the old plant that formerly stood here. Everything is laid out with efficient purpose and it’s apparent Boral has invested plenty in bringing this long-serving plant up to a highly productive standard. Likewise, it’s just as apparent that high volume facilities such as this are perfectly sited to take advantage of western Sydney’s ballooning expansion. Surprising, too, are the configurations of the trucks. In a plant which is home base to more than 20 agitators – typically a mix of company-owned and sub-contractors – eight-wheelers are predictably the predominant layout but it’s the scarcity of traditional six-wheelers which is particularly surprising and at the other end of the scale, the abundance of 10-wheelers. I had no idea five-axle agitators were so prevalent but obviously, bigger is better on the productivity scale. Anyway, the gazing soon comes to an end and after the mandatory safety briefing and induction, I head downstairs to a quiet training room with two men whose long experience and practical initiative will do two things. First, they will inadvertently highlight just how little I know about the agitator business, and second, showcase the exceptional advances over recent years in an industry where product design and development have traditionally moved at the pace of eroding granite. There are, however, at least a few things I do know about concrete agitators. For starters, their record for roll-overs is far from ideal. Merv Rowlands. "It was definitely time for a paradigm shift in the design of agitator trucks and it wasn’t hard to see lots of ways to improve." Dynamically, they’re a basket case, with a heavy, constantly moving, lop-sided load sitting high above a chassis and drivetrain traditionally specified for low weight rather than any serious concern for stability. Then there’s the matter of public perceptions. The raw reality is that the great majority of roll-overs occur where agitators do the bulk of their business; in suburban areas where public reaction is anything but positive and media coverage is inevitably sharp, savage and spectacularly photographed. An upended agitator looks like a disaster from any angle, no matter whose name’s on it. There’s also ample reason to suggest the concrete industry’s move to higher capacity eight-wheelers and more recently, 10-wheelers has led to an increase in the incidence of roll-overs. Again, higher load weights on chassis and suspension specified for maximum payload, with little or no development at either supplier or customer level to address the impacts on safety and on-road dynamics, can be easily asserted as major factors in higher roll-over rates. In corporate terms these factors are perhaps a tough pill to swallow but neither of these assertions cause even a mild flutter of denial or counter-claim from Boral senior managers Merv Rowlands or Robert Wood. In fact, both men agree these are indeed the influences which over the past four years or so have led to a dramatic re-write of Boral’s book on agitator design and dynamic performance. 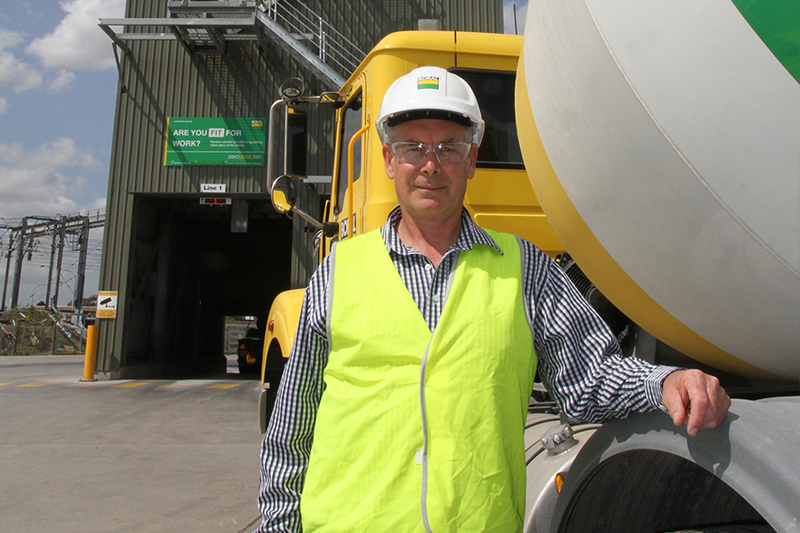 As NSW and ACT fleet manager for Boral Concrete, Robert Wood is nowadays directly responsible for the operation of around 460 agitators, with more than 240 units in the Sydney metro region alone. It’s a position he fills with ample experience, from the days of a self-confessed ‘hungry subbie’ in the ‘80s with a couple of agitators of his own, to the initiative of acquiring a business degree and ultimately moving into Boral’s management ranks. Boral’s Robert Wood. After decades of little change, tare weight is no longer as significant in the productivity equation. Obviously enough, there’s not much he doesn’t know about moving concrete by truck but it’s a reflective Rob Wood who concedes that until the last few years, nothing much changed in the way a concrete agitator was built and specified, except that eight-wheelers and now 10-wheelers have become more prolific. "Trucks just got bigger and heavier," he says simply. Meantime, with the growth in load volumes from six cubic metres in a typical 6x4 to around 7.5 metres in an eight-wheeler and a hefty nine cubic metres in a 10x4 – with respective gross weights ranging from 23.5 to 28 and 31 tonnes – tare weight remained stubbornly entrenched as a major influence in truck selection. Fortunately, things are changing. Fast! Indeed, Rob insists that in an industry where productivity remains paramount, tare weight is no longer the most significant criterion. There is, of course, much at stake. 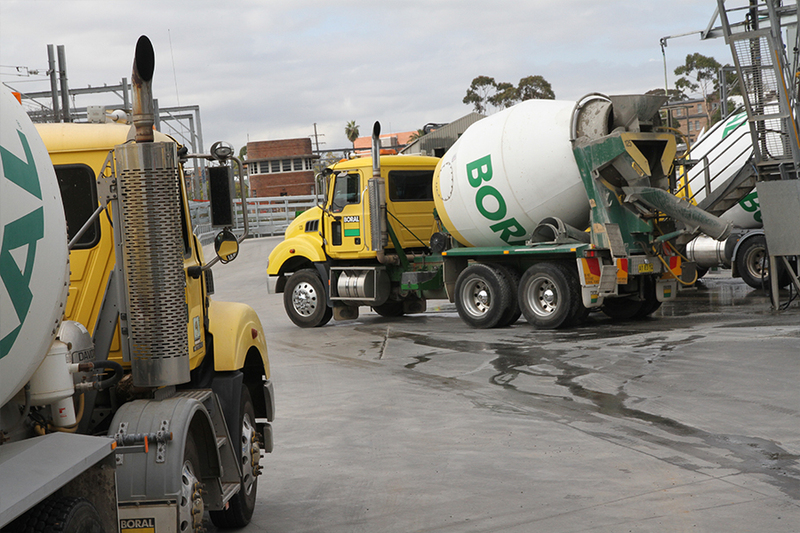 Boral is a major player in the construction and resources industries and on any given work day the company has around 2600 trucks on roads throughout Australia, loosely split between one-third company-owned units and the rest contractors. Well over half the national fleet are concrete agitators, again split on much the same lines between company-owned and contractors. Obviously enough, the other big players in Boral’s business are the vast tipper and tanker fleets. These operate within the logistics division where fleet engineering manager Merv Rowlands has spent close to 20 years guiding the development of trucks and trailers for a vast array of applications across the length and breadth of the country. 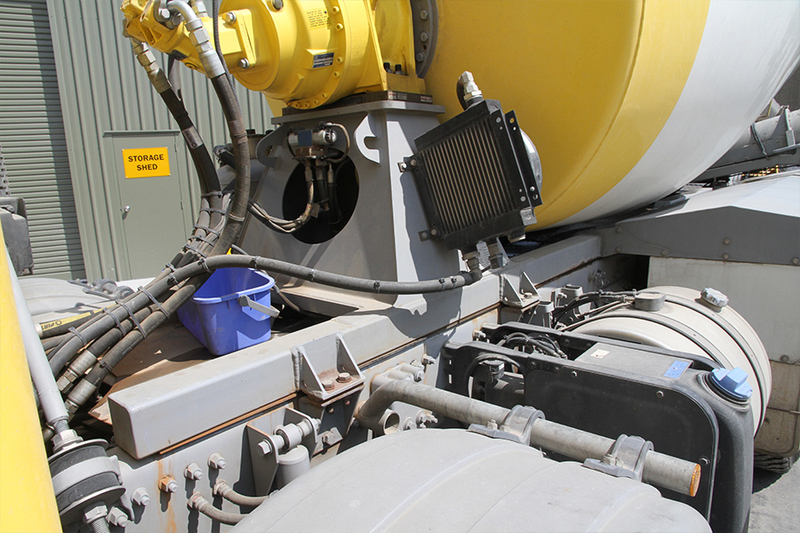 Well known for innovative approaches to efficiency and safety in the development of trucks and tippers in particular, Merv admits the design and operation of concrete agitators have generally not been part of his job description. 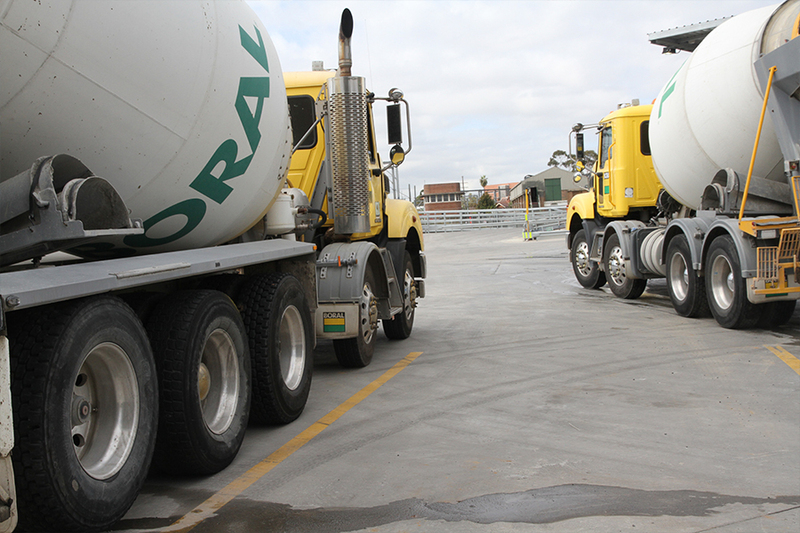 Concrete was long regarded a separate entity and agitator trucks, for whatever reasons, have historically not figured highly in the engineering evolution of the Boral fleet. Until now! 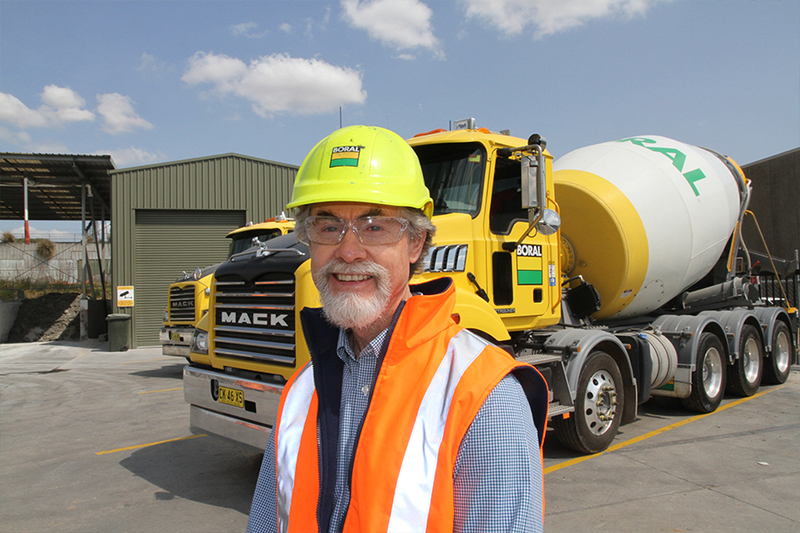 Or rather, until a meeting of senior management from Boral’s various divisions back in 2014 led to Merv Rowlands leading a detailed ‘back to fundamentals’ engineering review of both truck and mixer designs. "Agitators had concerned me for a long time in a number of ways," Merv explains. "Things like chassis rails that in some cases were just seven millimetres thick to keep tare weight down, the high centre-of-gravity of a typical agitator, lightweight suspensions that to my mind were totally inappropriate, permanently fixed splash trays that made service and maintenance so difficult. And don’t get me started on the use of U-bolts to secure mixers to the chassis. Dreadful! Side under-run. All part of a program to improve safety for vulnerable road users, mainly pedestrians and cyclists. "It was definitely time for a paradigm shift in the design of agitator trucks and it wasn’t hard to see lots of ways to improve," he says sharply, citing the availability of electronic stability control (ESC) systems as a timely innovation for bringing agitator design into the modern world. 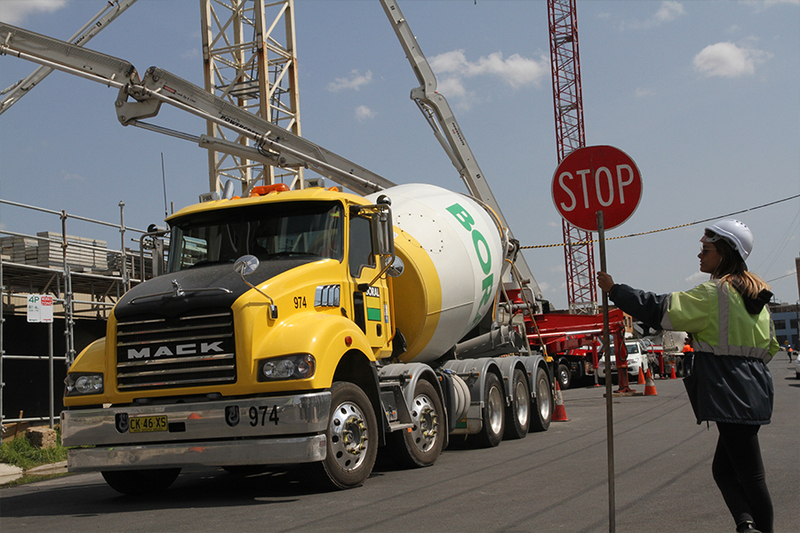 Fortunately, Boral had willing partners with its preferred truck supplier Mack and leading mixer builder Cesco Australia vitally involved in a complete overhaul of agitator design and stability. Yet despite Merv’s firm opinion that ESC is the most worthwhile technological advance in trucks he has seen in his 40-year career, it was by no means the foundation stone for a project to radically overhaul agitator truck design and safety. ESC certainly plays a vital role but from the outset there was more to it than that. Much more! For Merv Rowlands, the areas for greatest gain were in the torsional stiffness of the truck chassis, the design and characteristics of the rear suspension, and most significantly, lowering the centre-of-gravity (CofG) of the loaded vehicle. From then on, a 10x4 version became a natural progression but with it came the unique challenges of engineering a suitable tri-axle suspension into a bigger, heavier truck yet still able to meet Boral’s productivity parameters. As Rob Wood quipped, "When it’s all boiled down, we’re here to make and deliver concrete in a very competitive industry." Traditional sub-frame assembly for mounting agitator bowl to the truck chassis. Heavier and higher than the new design. Thus, while the prevalence of five-axle 10x4s can be surprising to anyone who doesn’t spend much time around concrete plants, the fact is they deliver a substantial boost to productivity and Boral has been a major user of the configuration for at least 10 years. There are around 40 of the five-axle units in the Sydney metro region alone and upwards of 65 across NSW. What’s more, it’s a number almost certain to increase as major infrastructure projects continue to come on stream in regions across the country. Each of the areas identified by Merv Rowlands as prime for improvement went under the engineering microscope and subsequently formed critical components of the company’s submission to the CCAA awards. On the torsional stiffness of the truck chassis: ‘As an agitator goes around a corner, the rear half of the vehicle (attached to the loaded mixer bowl) naturally tends to roll sideways, whilst the front half of the vehicle (attached to the engine, cab and front axles) tends to act as an anchor to keep it on the road. A relatively flimsy chassis will permit the rear of the truck to roll sideways with less restriction. ‘Agitator trucks demand very strong and torsionally stiff chassis rails. In the US and Europe, chassis rail thickness starts at 9.5 mm and goes up from there. However, for its redesigned 10x4, Boral opted for 11 mm thick rails with the size and stiffness of cross-members also substantially increased. It was a move that would ultimately allow deletion of the traditional sub-frame for mounting the mixer bowl to the chassis. More on that shortly. Meantime, the combined influences of ride quality, lower tare weight and cost, and a road-friendly rating have in modern times seen airbag suspensions largely replace rubber block and steel spring suspensions on drive axles of agitator trucks. Consequently, for its 8x4 prototype truck, Boral fitted Mack’s inverted steel leaf spring rear suspension (MIL-M) which has subsequently delivered ‘great success’. Cesco’s new mounting design sees front and rear pedestals of the agitator bowl fixed to steel angles similar to turntable angles on a prime mover. Unfortunately, a steel spring suspension on a 10-wheeler’s tri-axle group is not loadsharing across all three axles and for this reason Boral opted for Hendrickson’s heavy-duty Primaax airbag assembly. Not only is Primaax a far more heavy-duty airbag design than the lightweight HAS460 used on earlier 10x4s, but the presence of torque rods significantly enhances roll stiffness which has positive influences on braking stability, wheel articulation and traction. Despite these advances, the single biggest contributor to roll stability of a loaded vehicle is the centre-of-gravity of both the truck and the load, and with significant input from Mack and Cesco, major improvements were achieved. On the truck it was as simple as changing from 11R 22.5 tyres to the low profile 275/70R22.5 size, immediately achieving a 22 mm drop in vehicle height while also enhancing roll stability. The truly big gains, however, came from a redesigned mounting of the mixer bowl to the chassis. However, Cesco developed front and rear mounting pedestals which allow the barrel to be lowered much closer to the truck’s chassis rails by fixing the pedestals on chassis angles supplied by Mack. According to Merv Rowlands, the angles are similar to those fitted to a prime mover for mounting a fifth wheel (turntable) and provide the important benefit of transferring the load directly to the web of the chassis rail rather than the top flange, spreading the load over a wider area. Cesco calculates that the CofG of the loaded mixer is now 132 mm lower which, combined with a 22 mm drop in truck height with the low profile tyres, delivers an overall drop of 154 mm, or just over six inches. "Overall it’s a big achievement particularly with the benefit of a stiffer chassis and more stable rear suspension," says Merv Rowlands. Gauging the redesign’s operational effectiveness was done in three ways; computer modelling by the Australian Road Research Board, severe roll stability testing by electronic stability control specialist Knorr-Bremse on the skid pan of the Driver Education Centre of Australia at Shepparton (Vic), and perhaps the most brutal assessment of all, seat-of-the-pants opinions of experienced Boral agitator drivers from both company and contractor ranks. In all cases, the design passed with flying colours, verifying significant gains in roll stability. There were, however, other critical areas to be considered including the effect of an altered mixer bowl angle on the product discharge chute and introduction of a removable splash tray between the bowl and the chassis. In both cases, the changes have not impacted on productivity and in regard to the removable splash tray, maintenance access is dramatically improved. As for overall cost and productivity, it’s a good news story that seems to just keep giving. However, the new mixer mounting system is around 100 kg lighter than the usual sub-frame layout, reducing the weight increase to around 200 kg. Better still, the new mixers are for the first time using hard-wearing Hardox 450 steel, allowing the use of a thinner bowl wall and providing a substantial weight reduction of 300 kg over a conventional barrel. So all up, the actual net weight of Boral’s new 10-wheeler design is around 100 kg less than standard models. As for cost increases, Boral cites ‘… a total increase of around two percent of the price of a new 10x4 agitator truck.’ However, Hardox steel doesn’t come cheap, pushing the overall cost of the vehicle up by a further 1.5 percent. But then, with the total monetary cost of an agitator rollover estimated to be between $150,000 and $180,000, the price increase of the new design is easily accepted from both economic and safety perspectives. As Boral’s submission succinctly states, ‘Ultimately, the real objective here is to reduce the probability of an agitator rollover by designing a higher rollover threshold and therefore a greater margin of safety. Obviously enough, the new design also attracted plenty of interest from other parties in the concrete business when Merv Rowlands and Rob Wood proudly accepted the top gong for Health and Safety Innovation at the annual CCAA awards on September 1 this year. It’s worth noting the award recognises excellence in developing and implementing an innovative solution to an identified health and safety issue, with Boral’s submission described as one of many excellent entries in this important category. In effect, it took something special to win and Boral is certainly not wasting time implementing its higher standards in purchases of new agitators. With early development units proving their worth, Boral in 2016 took delivery of nine Metro-Liner agitators – five 8x4 and four 10x4 – built to the new roll stability standard for NSW operations. In 2017 a further 26 Metro-liners consisting of four 6x4s, 12 8x4s and 10 10x4s will be spread across the fleet in NSW, Victoria and Queensland. However, as Merv Rowlands adds, the safety stakes don’t end with the new trucks. "We are also working closely with Transport for NSW and the Melbourne Metro Rail Authority on what can be done to improve safety for vulnerable road users, mainly pedestrians and cyclists, in terms of the interaction with construction vehicles in the city and built-up areas. "This is a multi-pronged approach that includes safety procedures, better road and site design, driver training, and critically, vehicle design which includes higher visibility and side under-run protection." Finally, it’s a smiling Merv Rowlands who concludes, "It might have taken a while for things to change in the design of an agitator but we’ve certainly come a long way in the last four years." "A very long way," adds a resolute Rob Wood. This article first appeared in the November edition of ATN. Subscribe to the magazine here. The distinctive rumble of a Mack V8 has all but disappeared from Australian highways.